Being effective with mobile marketing is critical. It’s where your customers are, and it’s where they like to make their purchases. Most Australians own smartphones, and we’re glued to them. Smartphones and tablets have smaller screens than computers. That means your website shouldn’t look the same on them. You need a responsive website design that will recognise the platform that it’s being looked at on, and will optimise the experience with that in mind. Mobile-optimised websites will be more efficient in what they display – copy will be short and to the point, to minimise scrolling, and buttons will be large, colourful, and have a clear CTA implemented within them. Additionally, it’s important to streamline the interactive experience so that all actions on the website can be completed with a minimum number of clicks. Social media is one of the best mobile marketing opportunities that you have. It’s where your customers are. And if you’ve got a robust presence on social media, you can drive a lot of traffic back to your website. There are so many social media networks now, and it would be inefficient to develop a presence on them all. Research which two or three networks have been most successful for your industry and business type, and focus your efforts on them. For example, if your brand is very visual, then signing up to Instagram will give you a platform for sharing photos. Don’t forget the more specialised platforms, too. Pinterest has become the go-to resource for bridal gowns and recipes, for example. Mobile users don’t have a lot of patience for in-depth reading, but they sure do enjoy their video. Studies show that a massive 75 per cent of all mobile traffic will be video by 2020. Rich media such as video is highly engaging, sharable and persuasive, so it’s important to take the time to really understand how to produce effective, viral video content. Being a top result on a laptop doesn’t necessarily translate to success with mobile search results. Similarly, if you’ve got a dedicated mobile application, it’s important to make sure that on the iOS app store and Google Play store that it will end up at the top of the search results for your critical keywords. If you engage with SEO specialists to help boost your search results, make sure that you highlight that mobile conversions are a priority for you. One of the best tools that mobile devices offer marketers is push notifications. Used responsibly, they can be a remarkably intimate way to communicate with consumers. In addition, most people have email on their phone, so well-designed (and, again, mobile-optimised) email EDMs, that are tailored to the individual can result in high conversion rates. Data shows that, across the world, as many as a third of people feel a “strong sense of anxiety” if they leave their mobile phone at home. A sizable percentage of people would even rather lose their wallets than phones. What this data shows is that people feel a strong personal relationship with their phone, and that in turn means they’re much more likely to be receptive to the content that they view on it. 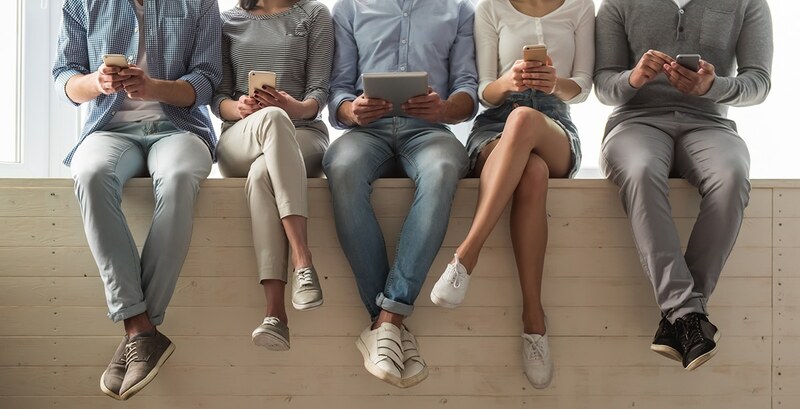 Ultimately, success in driving mobile conversions depends on how personal you can make the message, and the way that the audience views that message. For more information on mobile conversions, ask for a free consultation about mobile marketing for your business here.